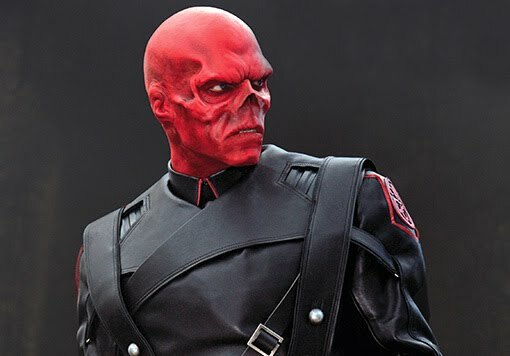 my first MAJOR challenge for this year is to recreate 'Red Skull' portrayed by Hugo Weaving in the 2011 movie Captain America: The First Avenger. i need to do the whole shabang on my partner Adam, including costume, makeup, teeth, eyes.. just everything!! the actual makeup in this film is computer generated. which is why re-creating this will be quite hard, but do-able of course. i have until the 31st of March (my birthday! :D) to do this. so over the next couple of months i will be researching how i can achieve this with makeup and special effects and not fancy computer generation!